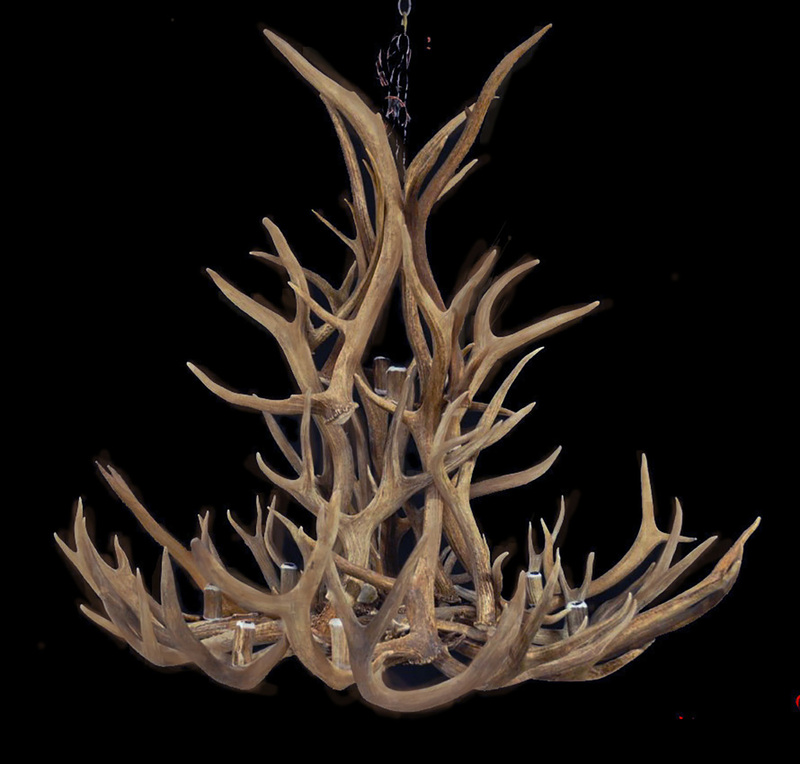 CHANDELIERS Our Heirloom Quality Real Antler Chandeliers have been Rated #1 in Quality and Design since 1996. 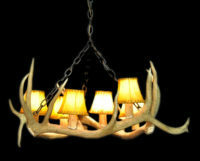 LAMPS Real Antler Lamps add the perfect rustic touch to your home, lodge or office. WALL SCONCES Like his Antler Lighting, Jim Swanson’s wall fixtures are the perfect complement to your décor. Choose from several designs. ACCESSORIES Antler bowls, Antler wreaths, Antler Candleabras, Antler mirrors. Bring your ideas or choose from numerous designs. 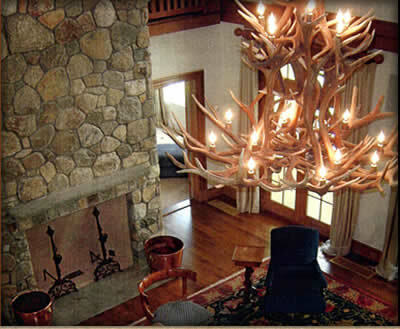 Antler Chandeliers & Lighting Company is one of the oldest Antler Chandelier builders in the nation. 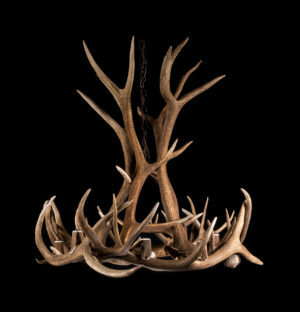 I started my company in 1996, nestled in the Rocky Mountains of Western Montana and have since risen to the height of a premier Antler Lighting builder with customers in every state in the U.S. and many countries throughout the world. To be in this business is hard work but my philosophy is simple, to build every Antler Light to be the finest one I’ve ever made. I listen to every customer and know what they expect from us. In every antler I use in their arrangement I am thinking of that customer and their room size and the desired effect they hope for in my work. There is a very personal aspect of building a work of art that will grace another’s home and I take that responsibility seriously and consider it an honor to have a client choose my work to light their home or business. I want to express my great satisfaction with the Elk Chandeliers that Anheuser-Busch purchased from you.The use of your chandeliers at a variety of Budweiser sponsored events, at and in many venues around the country have added a unique and warm ambiance that Anheuser-Busch tries to create for its customers and guests. This Bud’s for you Jim! Anheuser Busch Companies, St. Louis Mo. Jim, The chandeliers are absolutely fabulous. We don't need any artwork on the walls; they are the art. Our house designer has sent some photos to a few magazines. He said Timber Homes Illustrated sounds pretty interested in doing a shoot next spring or summer! Thanks again! !